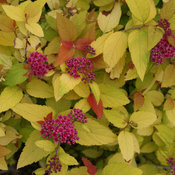 Your search for truly colorful landscape plants ends here! 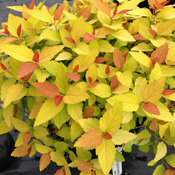 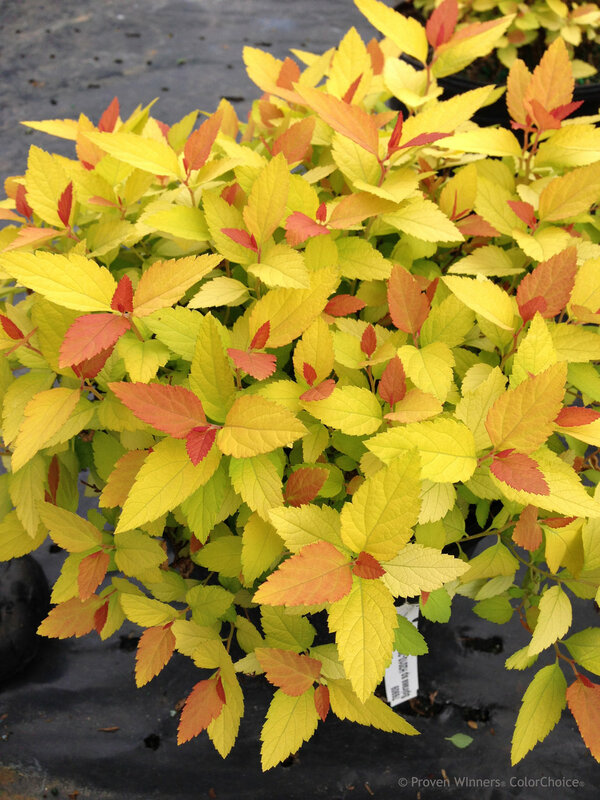 Meet the newest and most colorful Proven Winners spirea, Double Play® Candy Corn®. 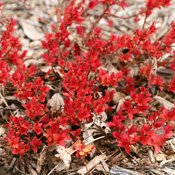 The show starts in earliest spring, when the new growth emerges bright candy apple red. 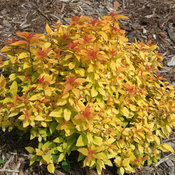 As it matures, it turns pineapple yellow, and the new growth continues to emerge bright orange all season. 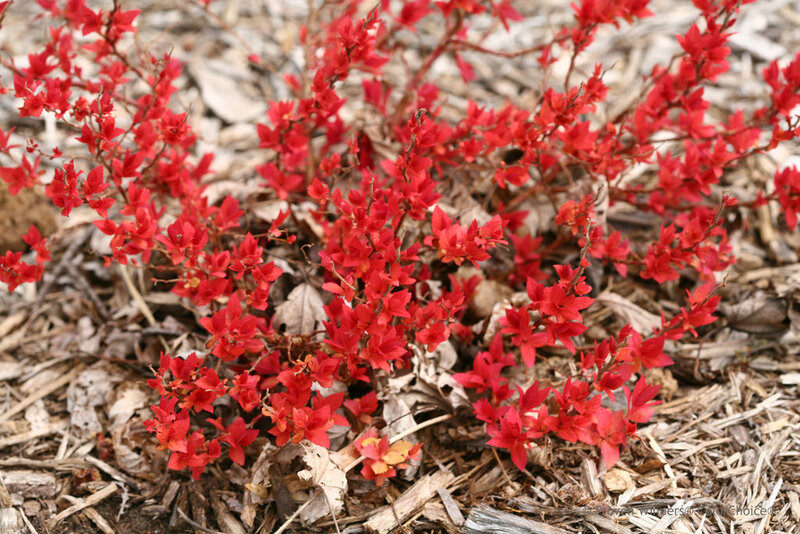 Top it off with dark purple flowers in late spring/early summer, and you've got a display you really have to see to believe. 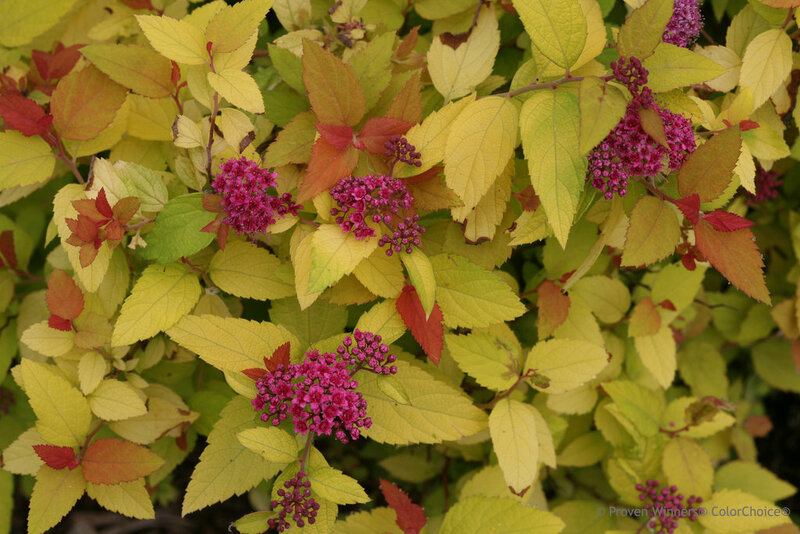 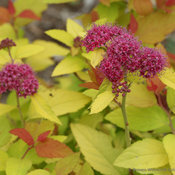 Be sure to click the image tab below to see just how showy this low-maintenance spiraea is! 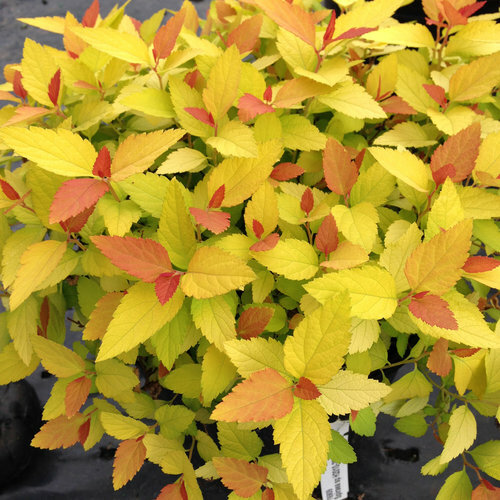 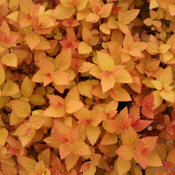 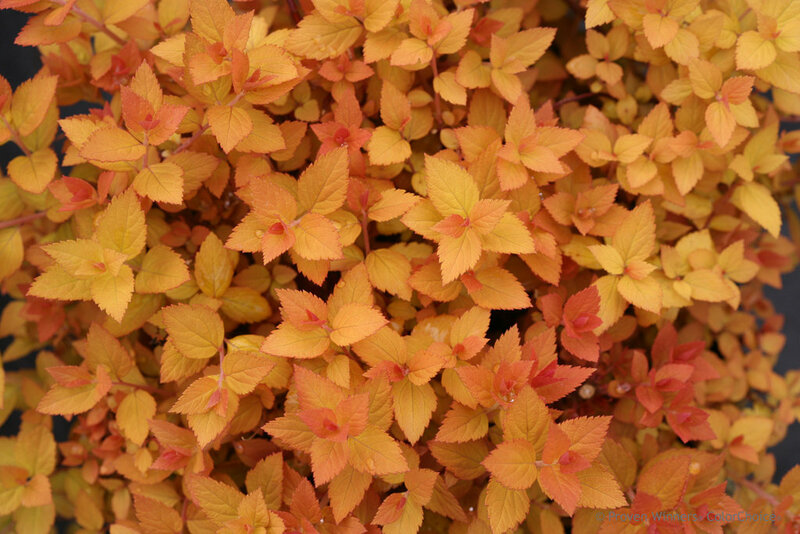 Spirea is a popular plant because it is blissfully low maintenance, and Double Play Candy Corn is no exception. 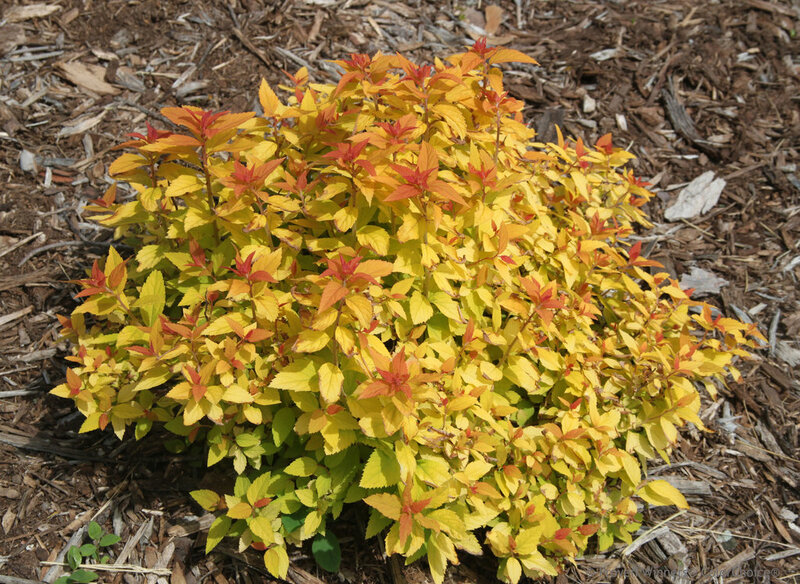 It naturally takes on a nice, rounded habit without pruning. 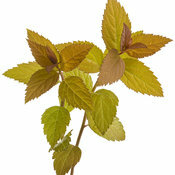 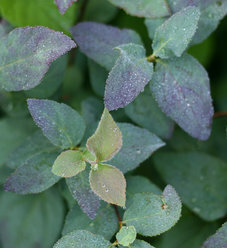 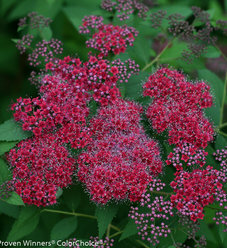 If you wish, you can give it a trim after the flowers fade, which will encourage even more colorful new growth. 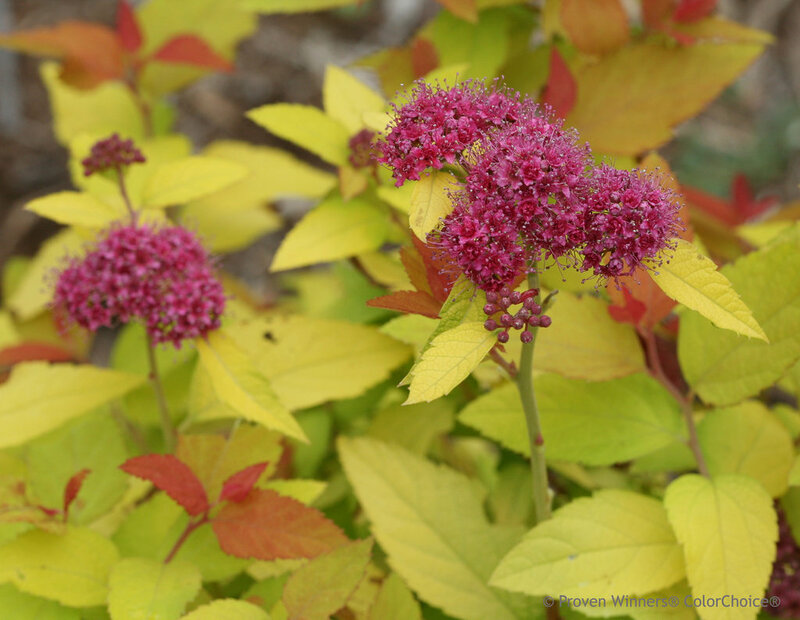 Double Play® spiraea are typically ignored by deer and even rabbits, and are quite drought tolerant after a year or two in the ground. 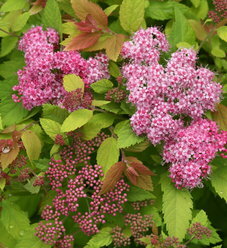 Though you wouldn't guess it by looking at it, spiraea is closely related to roses and raspberries.